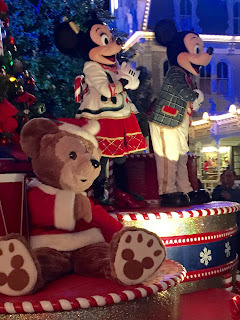 Mickey's Once Upon a Christmastime Parade is a feature of Mickey's Very Merry Christmas Party, which is a special event held on select nights in November and December. I took this shot at the party a few days after Thanksgiving. Now, during Christmas week, the parade takes place twice a day for all Magic Kingdom guests to enjoy. I look forward to enjoying the daytime version several times before the end of the season.